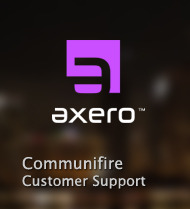 We are in the midst of rolling out our Communifire site to our organization and are experiencing an issue with some of our users being bombarded by notifications. We have done our due diligence to investigate the source of these notifications. There is one user in particular that we have thoroughly investigated. He is enrolled as a member to the space, but he is not a participant in and of the cases in question. Is there anyway we can have some assistance in checking this out? Mark Jensen, Program Management Case # 712 & 715. Mark Jensen is a member in the "Program Management" space. Case #712 and 715 were created by the moderator of the space. Although Mark has not participated in the case or the comments associated with the case, he seems to be getting notified to all comments made to the cases. We have looked at site settings, space settings, case settings, etc... and we cannot determine why he is receiving notifications. I can see that the user you are talking about, is added in additional recipients in both the cases because of which he is getting notifications for all the comments made on the case. Thank you for the response. I think we figured it out. The moderator was including him in all cases as an additional recipient cause too many notifications.